The 63-year-old actor's publicist said he had been battling "severe depression of late." Williams was discovered at the residence he shared with his wife in Tiburon, California, shortly before noon (3 p.m. ET) on Monday, according to the Marin County Sheriff's Office. He had last been seen alive Sunday at 10 p.m. (1 a.m. ET on Monday), officials said. "This morning, I lost my husband and my best friend, while the world lost one of its most beloved artists and beautiful human beings," his wife, Susan Schneider, said in a statement. "I am utterly heartbroken. As he is remembered, it is our hope the focus will not be on Robin's death, but on the countless moments of joy and laughter he gave to millions." "I am completely and totally devastated"
The sheriff's Coroner Division said the death appeared to be a "suicide due to asphyxia," but added that an investigation would be completed before a final determination is made. "This is a tragic and sudden loss," publicist Mara Buxbaum said in a statement. "The family respectfully asks for their privacy as they grieve during this very difficult time." Williams, who struggled with alcohol and cocaine addiction, was sober for two decades but relapsed in 2006 and entered rehab. Last month, Williams returned to rehab for a short stay "to fine-tune and focus on his continued commitment, of which he remains extremely proud," according to a statements his representative made at the time. In an interview with The Guardian in 2010, Williams attributed his need to self-medicate to his unrelenting "fear and anxiety" and said that although he was in a happier place, he also was "not afraid to be unhappy. That's OK too. And then you can be like, all is good. And that is the thing, that is the gift." Williams first came to prominence in 1978 as a naively sweet and zany alien in "Mork & Mindy," playing a character he'd originated in an episode of "Happy Days," with actress Pam Dawber as his love interest. Dawber and Williams were reunited last year on CBS' "The Crazy Ones," when Williams returned to the medium that made him a star, playing an ad executive and father to a character played by Sarah Michelle Gellar. 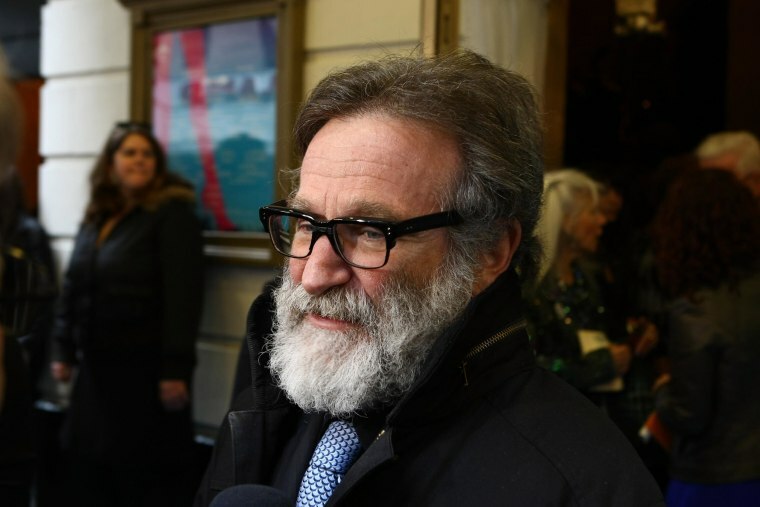 Williams, who was as successful in stand-up as he was on TV and the movies, won an Academy Award for Best Supporting Actor for his role as Dr. Sean Maguire in the 1997 film "Good Will Hunting." He was nominated for Best Actor for his roles as an authority-bucking deejay in 1987's "Good Morning, Vietnam," as an inspirational teacher in 1989's "Dead Poets Society" and as a homeless man seeking the Holy Grail in 1991's "The Fisher King." In 2003, he won a Grammy for best spoken comedy album, "Robin Williams — Live 2002." In April, Williams was reported to be planning to star in a sequel to his 1993 smash hit movie "Mrs. Doubtfire." "When I was a kid, having problems of my own, feeling unpleasantly different from the people who populated my world, I found sanctuary watching this guy on TV who was celebrated for being a weirdo, for being an oddball, for being silly. He was praised for having a mind that produced delightful absurdities with great speed. No one told him to be quiet. No one tried to make him act like everyone else. He was a hero to me." M. Alex Johnson of NBC News contributed to this report.